Our aim is to give you more than just a good run. We want to bring you a whole experience where you see new places, taste good wine and do new things. Follow us on social media and stay updated with future events. 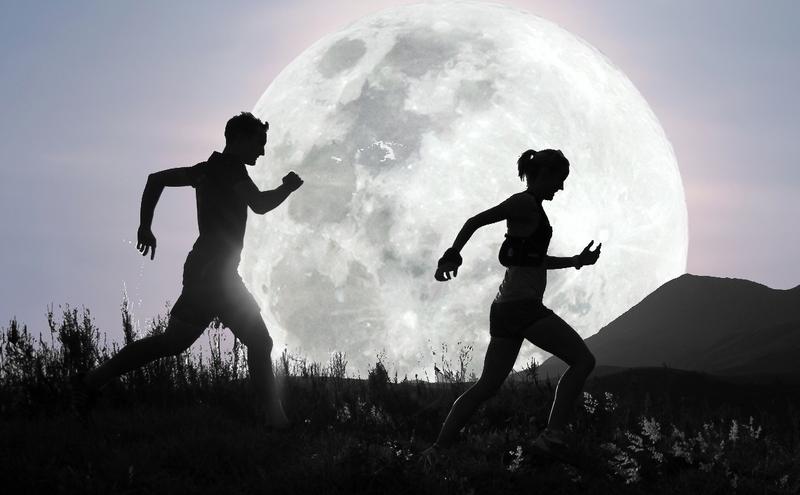 Competition is tight between the top runners in the Full Moon Series.. If you want to see where you are ranked, click here. 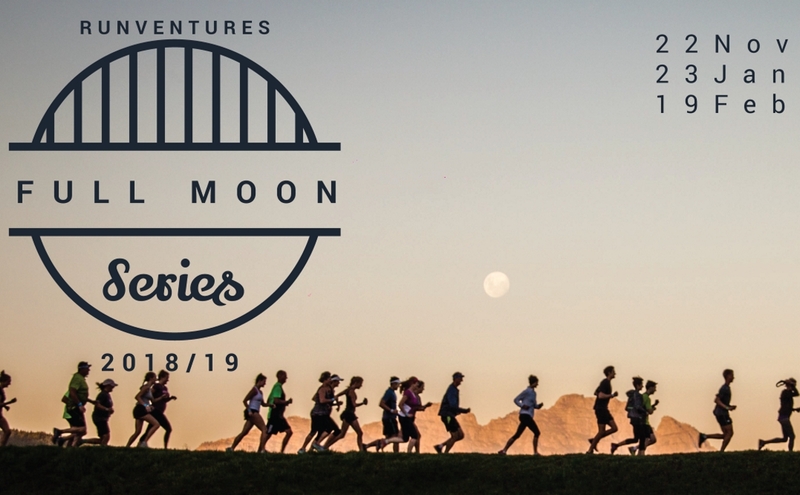 10km Series Entry - R 310.00 | 5km Series Entry - R 210.00. 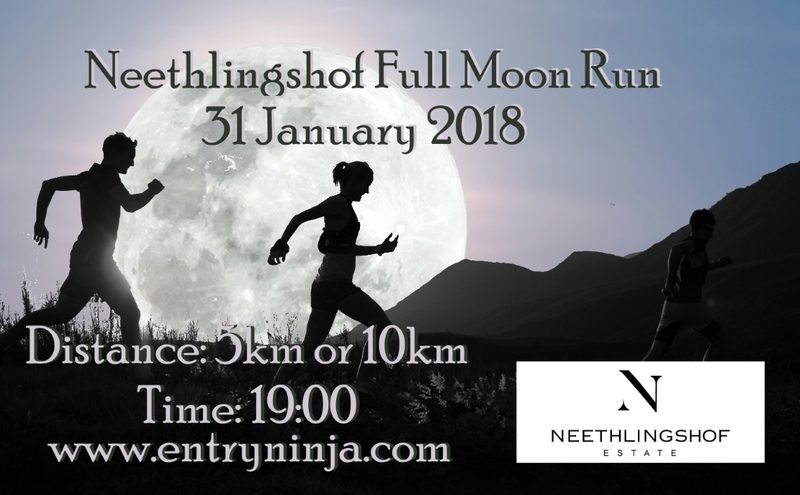 The final run in our series is at Neethlingshof. This promises to be an exciting run, with runners fighting it out for the series titles in the 5&10km event. Bring enough cash to spend the evening with us, enjoying some fine wine and food. 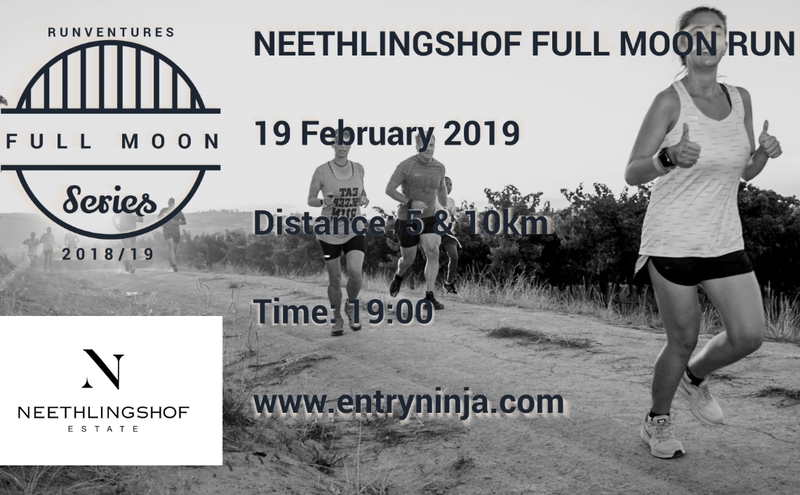 10km Entry - R 130.00 | 5km Entry - R 80.00. 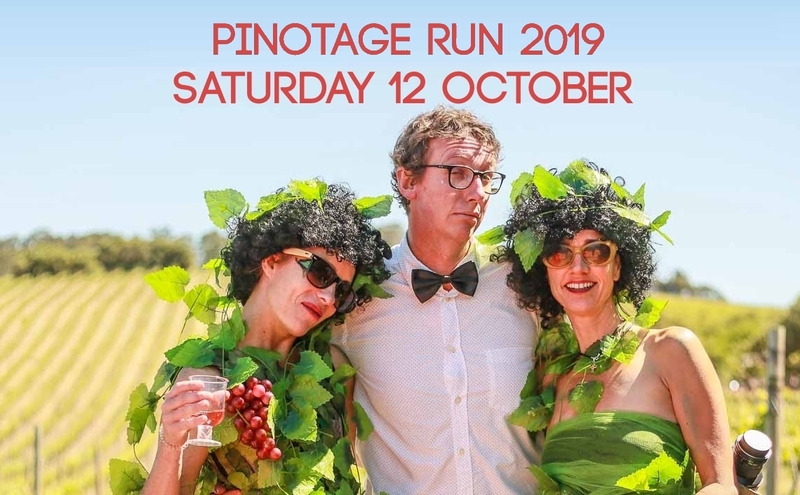 Celebrate International Pinotage day by participating in this FUN 8km Jeep track off road run / walk. Wine tastings every +-2km on route. All shapes and ages welcome, but no wine for under 18’s. Kids under 12 can join for free. Prizes for the best dressed individual and group. Food, music, entertainment and more fun waiting at the ‘finish line’. 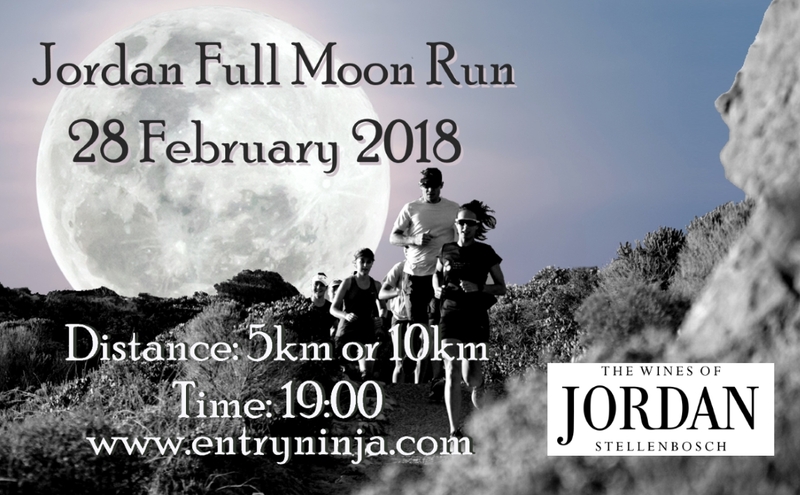 Our Jordan Full Moon Run was incredibly popular and the race was sold out. We are expecting the same this year, so you better get those entries in (or enter for the whole series). 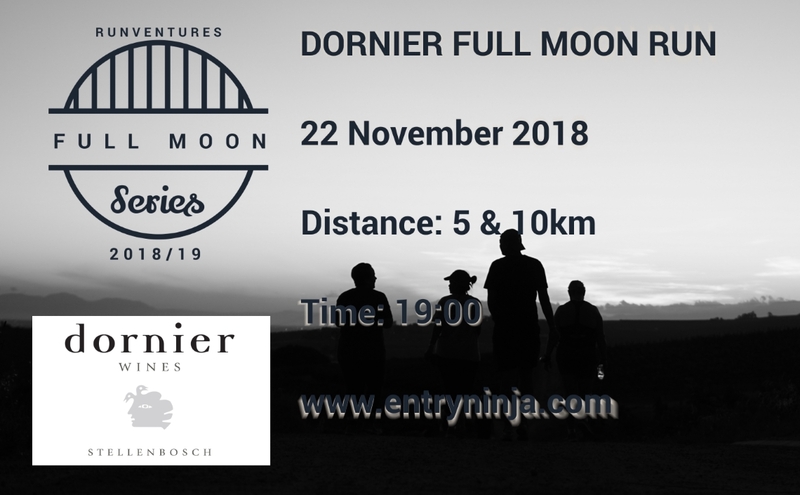 We are previlaged to add Dornier Wine Estate to this season's Full Moon series and we will kick it off with a bang. This series is not just a run but an evening out, where you can enjoy music, good food and superb wine after every race. Come and enjoy a summers evening with us under a moonlit sky. 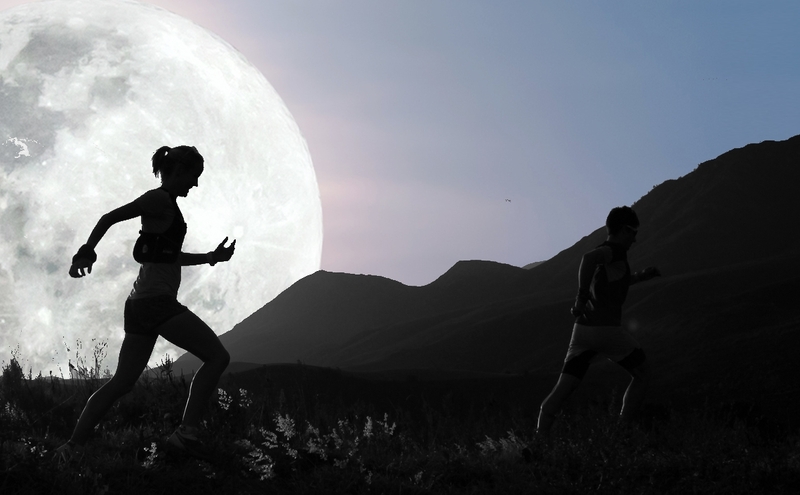 We will start it off with a night run in the vineyards and end it off enjoying food and wine while listening to live music. Choose between the 5km or 10km jeep track routes. Suitable for a running pram. 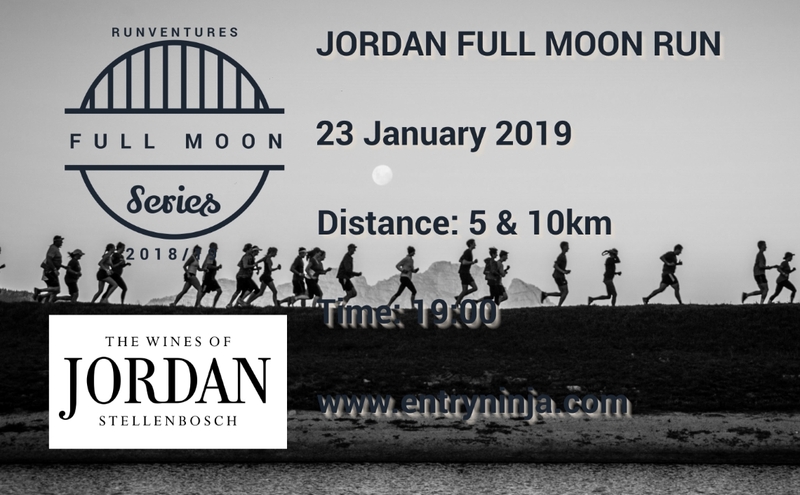 Come and enjoy a beautiful moonlit summer’s evening with us at Jordan Wine Estate for a run on some superb single-track sections in the Bottelary Hills. Then reward yourself with a glass of wine, great food and company of your choice whilst watching the full moon rising over Jordan’s manicured lawns and sweeping views. Choose between the 5km or 10km routes.